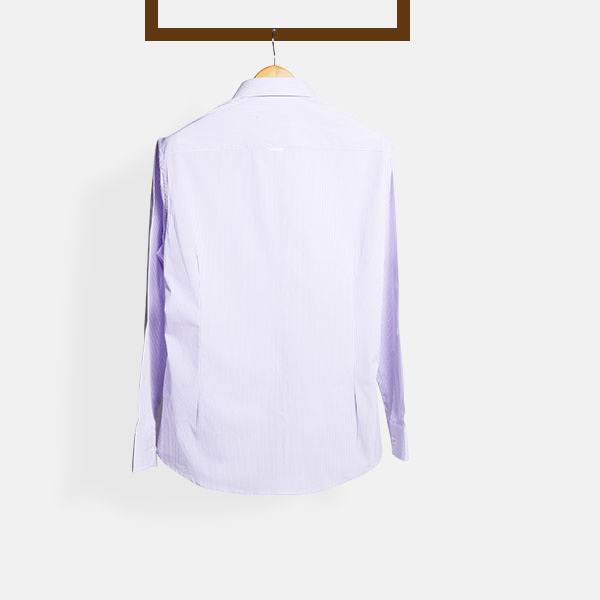 Purple & White Striped Shirt - (100% Cotton, Smooth Fabric) - Fitted by A.I. 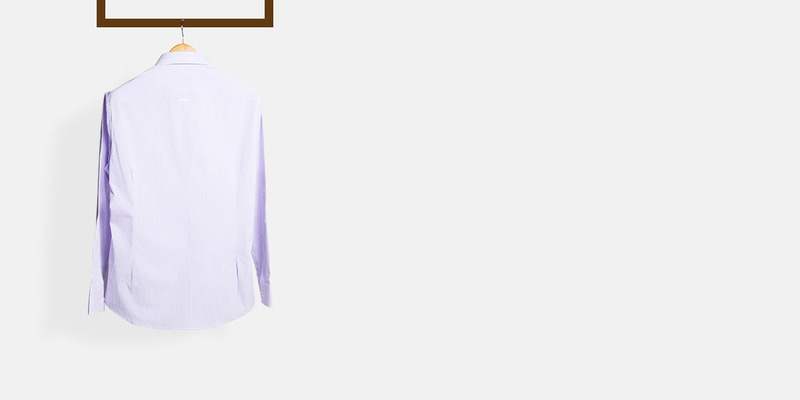 This Purple & White Striped Shirt can be personalized. Create perfection with a simple 3 step process. 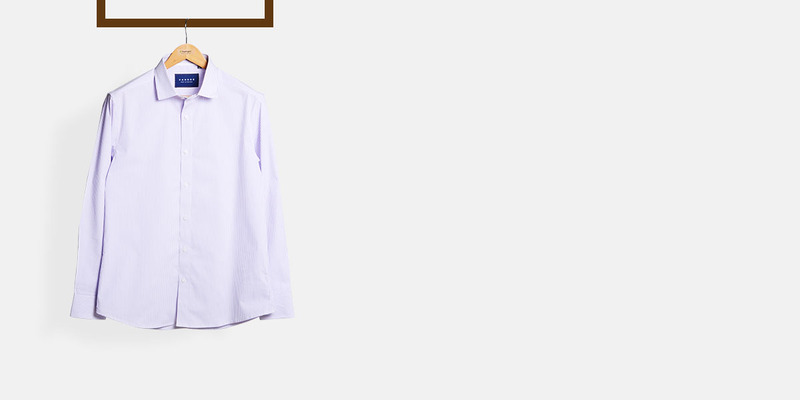 You will never regret investing in a well-tailored striped shirt like this one when getting dressed on Monday mornings. 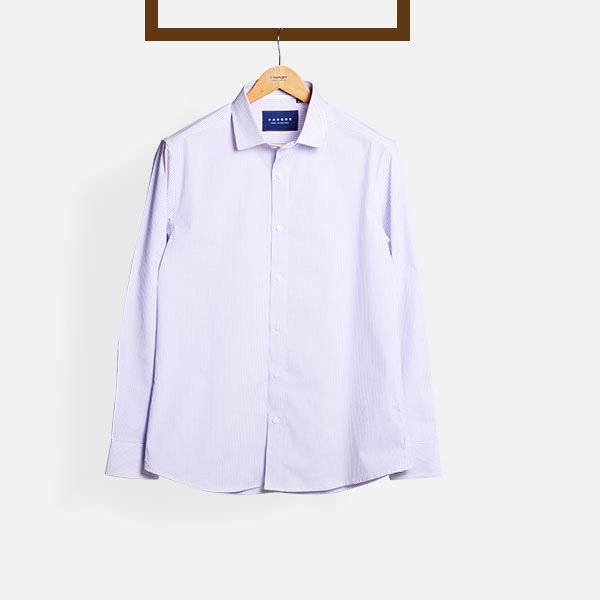 Cut from luxurious Egyptian cotton, it has a cutaway collar that will stay sharp the entire busy day at work. Purple and white stripe combination will work well with almost any suiting combination but looks best with Charcoal and Navy. 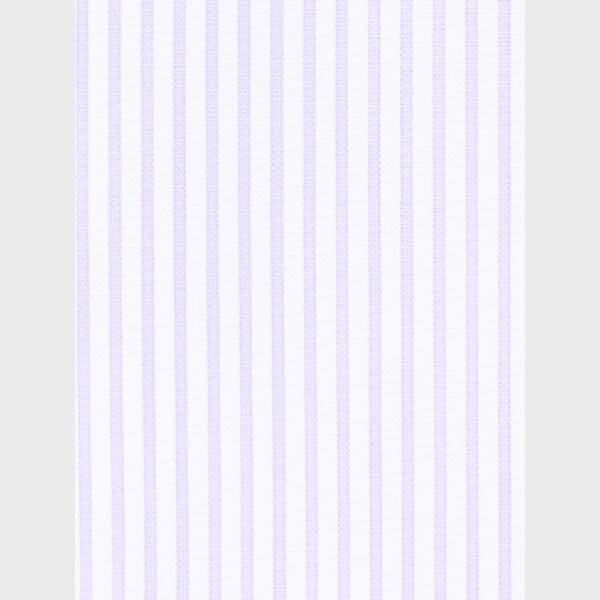 Presenting the - White & Purple Pencil Striped Cotton fabric. 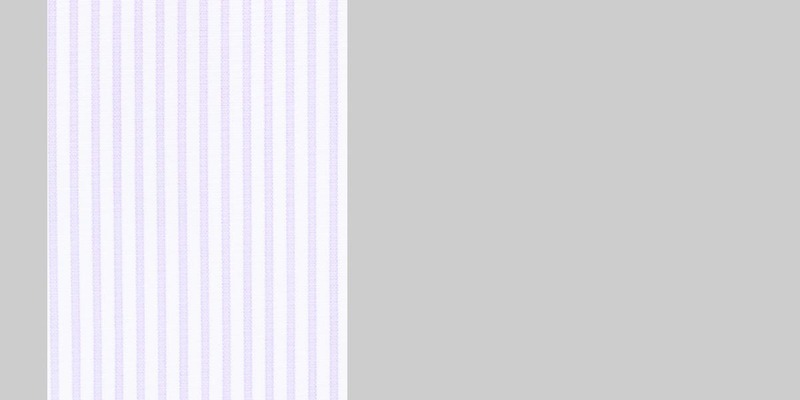 This amazing white & purple egyptian cotton fabric has a pencil stripes weave and is part of our smooth fabric collection. This fabric weighs around 98 gsm.